Omeka.net is a hosted platform for running Omeka. Due to the managed nature of that environment, it's not possible to run your own plugins and themes on that platform and so you may wish to get an account at Reclaim Hosting and run Omeka here. This guide is on how to take the work you've done at Omeka.net and migrate. The first step is to install Omeka on Reclaim Hosting and we have a guide here that walks you through that process. This guide assumes you have installed Omeka on your hosting account and want to now migrate information from Omeka.net over. It's a good idea to make sure your ImageMagick path and PHP-CLI path are both setup properly. You can also take this opportunity to update some of the general settings and theme of your new Omeka installation. The import will only bring over Items, Collections, Exhibits but not other settings or theme information. For the import process, you'll need the Omeka API Import plugin installed. You may also want to install any other plugins or themes you might wish to use. 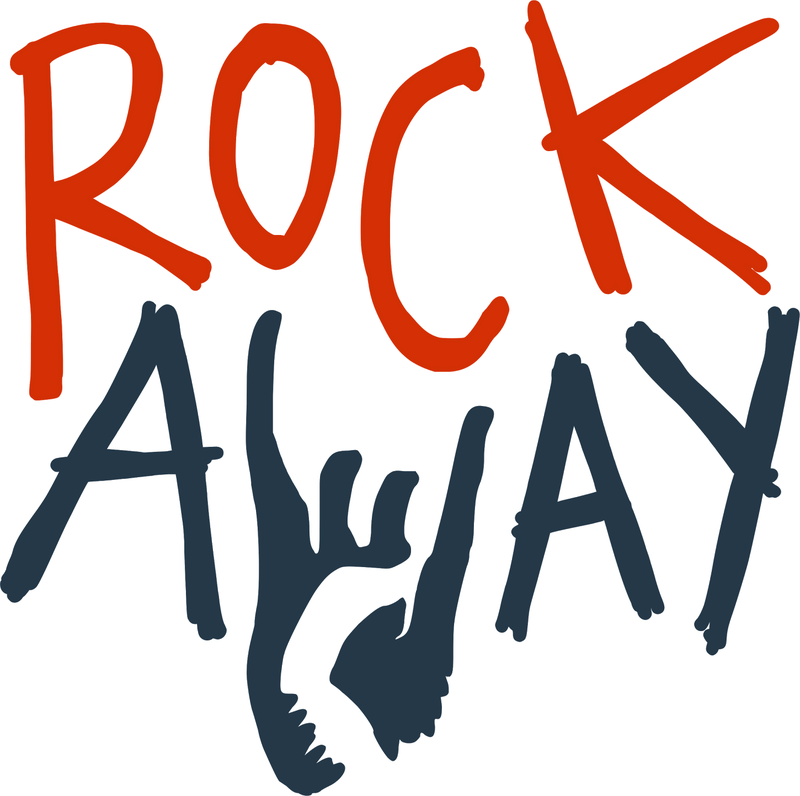 Here is a guide to installing plugins in Omeka https://support.rockawayhosting.com/hc/en-us/articles/115003401068. On your install at Omeka.net, go to the admin area and click Settings > API. Here you will need to check a box to enable the API and click Save Changes which will allow the export to work. You'll then need to navigate to the Users area (still on your Omeka.net install) and click API Keys under a user with super-admin privileges. 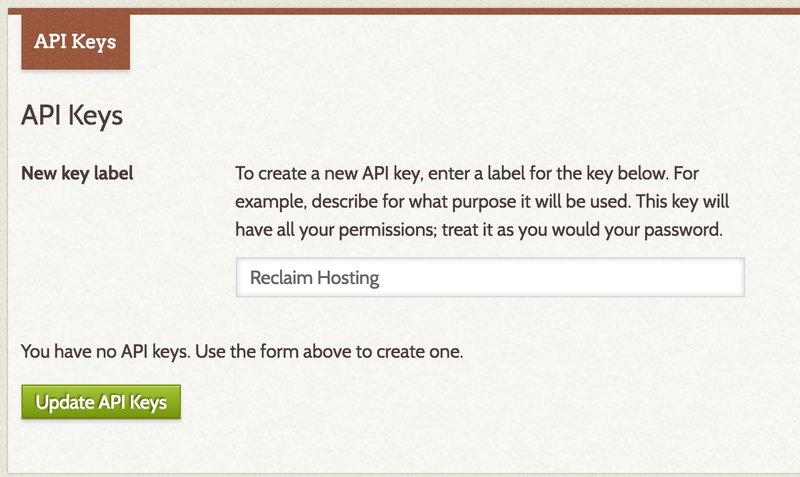 Here you will create an API Key giving it a recognizable label (this can be anything). You'll need this API Key for the import process. 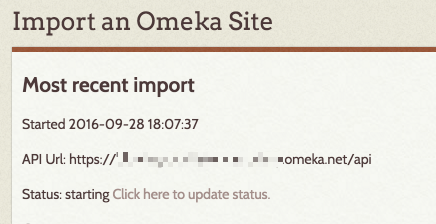 You're now ready to import your Omeka.net site over to your Omeka install at Reclaim Hosting. Make sure the Omeka API Import plugin is activated and that you've followed every step in this guide prior to this point. You'll see the API Import menu item in the lefthand sidebar of your Omeka install in the admin area. Navigate there and you'll find two settings to enter, an API URL and an API Key, along with the option to override data. The time it takes to import will be wholly dependent on how much content is being migrated. When the import completes you should have all of the content from your Omeka.net site within your install at Reclaim Hosting.